Author note: This recipe was featured in The Dallas Morning News along with two other state fair inspired recipes: mini dijon corndogs (click here for the recipe) and doughnut ice cream sandwiches (click here for the recipe). Combine all ingredients into a large pitcher. Stir and place in the fridge to chill. 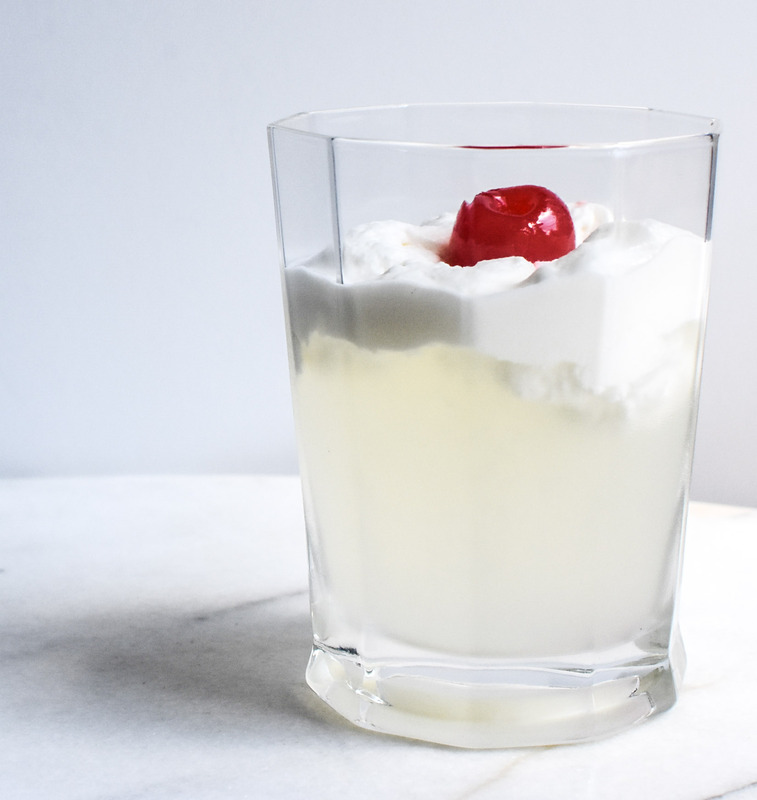 Serve over ice and topped with pineapple whipped cream, maraschino cherry and pineapple slice. Author note: I prefer to use the juice from canned pineapple. To chill it, I place the can in the fridge about 3 hours before I need to use it. Place all ingredients into a large bowl. With an electric mixer, whisk at a rapid speed until the cream is airy and fluffy. Place in the fridge until ready to be used. This can be made up to a day in advance.